Wow. 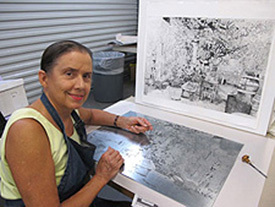 I just completed an order for 41 Bolinas Lagoon etchings for a special dinner catered by Paula Le Duc Fine Catering. Than you for the order and appreciating my art. Each print took about 1 1/2 hours to hand-print, inspect and finish, title and sign.